Horses,Horses,Horses on the Hillside. 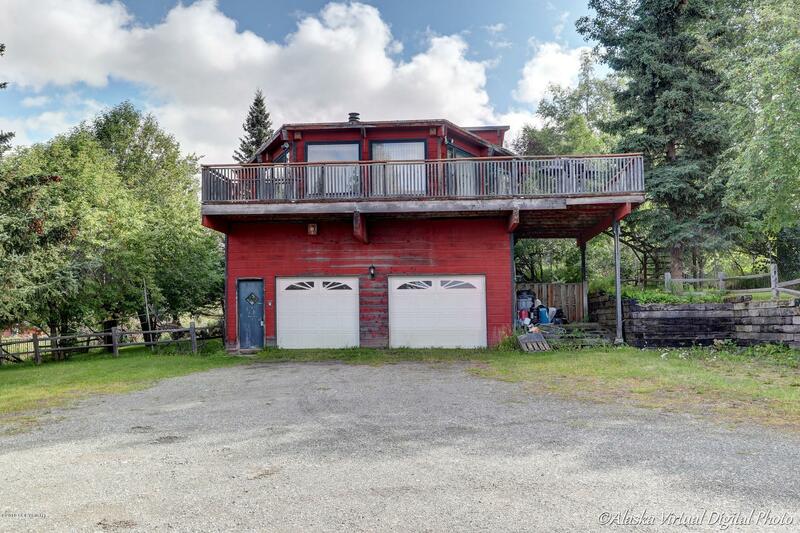 Great Alaskan style home situated on well over an acre of land off Rabbit Creek Rd. with stunning views over Anchorage and the inlet. Tons of room for all your toys and even a horse barn. Four bedrooms, three bathrooms, a two car tuck-under garage and spacious deck. Huge fenced in horse pasture with barn and chicken coop.